By Deng Luo, MD PhD, Wen-Zhuo Ran, PhD, Yun Sun, MD, PhD, Hua Huang, MD, and Wang-Yang Yi, MD. Recently, a surprising survey of more than 3860 doctors in China has found that only 3% of respondents advised their children to pursue medical education. About 36.2% of the respondents kept a neutral attitude without encouraging or discouraging them from any particular career choice. By contrast, 58 percent of respondents came out strongly against the choice and did not encourage their kids to consider becoming a physician. It is time for us to wonder why this once respected profession has changed into a non-promising job. Actually, great effort has been made by the government of China to expand medical education since 1998 and there are currently more than 159 institutions of higher education for medicine in China. Moreover, the number of students enrolled annually in medical school has increased dramatically between 1995 and 2005. It is outwardly good news that medical education has a promising future in China. Everything is changing, however, and so fast in China. 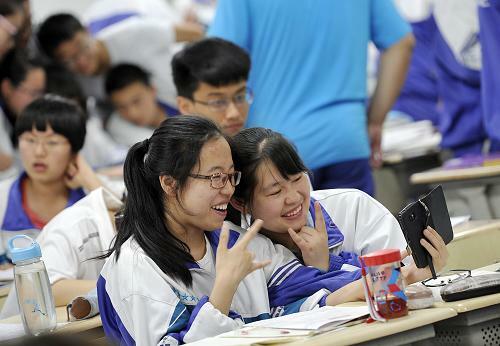 According to the Ministry of Education of China, more than nine million students were registered to attend the country's national college entrance examination, which falls on June 7, 2014. In addition, the number of participants in the exam increased by 270,000, or three percent more than that of the previous year. First and foremost, being a medical practitioner has turned into a life-threatening job and hospitals are currently deemed as dangerous working places in China. Second, medical education is very expensive and time-consuming for Chinese students. Third, respect and trust between doctors and patients have been continuously deteriorated. We wonder if that is why so many physicians polled identify that they would not recommend that their sons and daughters select medicine as a career. But effective and efficient measures must be carried out to address such troublesome problems. To ensure safe working places for medical practitioners in China, on one hand, and efforts are needed at all levels to improve the deteriorated relationship between health-care providers and patients. On the other hand, financial support needs should be considered in those poor students who want to engage in healthcare service. Only through persistently improving the existing medical education system and hospital environment can Chinese medicine really make remarkable and healthy progress. Yun Sun, M.D., Ph.D. Department of Geriatrics, Ninth People's Hospital Affiliated to Shanghai Jiao Tong University School of Medicine, Shanghai, China. Hua Huang, M.D. Department of Gastroenterology, The Second Affiliated Hospital of Kunming Medical University, Kunming, Yunnan, 650101, China. Wang-Yang Yi, M.D. Department of Gastrointestinal Surgery, Union Hospital, Tongji Medical College, Huazhong University of Science and Technology, Wuhan, 430022, China. Posted in Reflections. Tags: China, Chinese physicians, meded on July 28, 2014 by CMAJ.